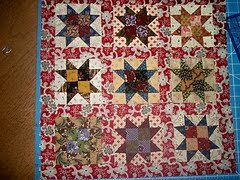 I just love this quilt top. I bought it and 2 others at a craft mall several years ago for 3.00 each. I am guessing from the fabrics that it was made sometime in the late 60's - early 70's. 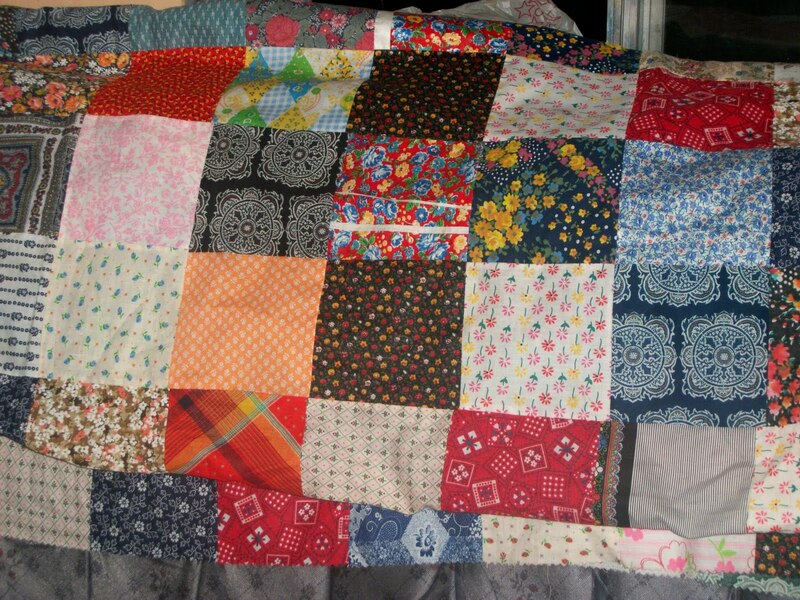 While browsing blogland I have been reading alot about "big stitch" hand quilting. I think I am going to give it a go with this quilt. 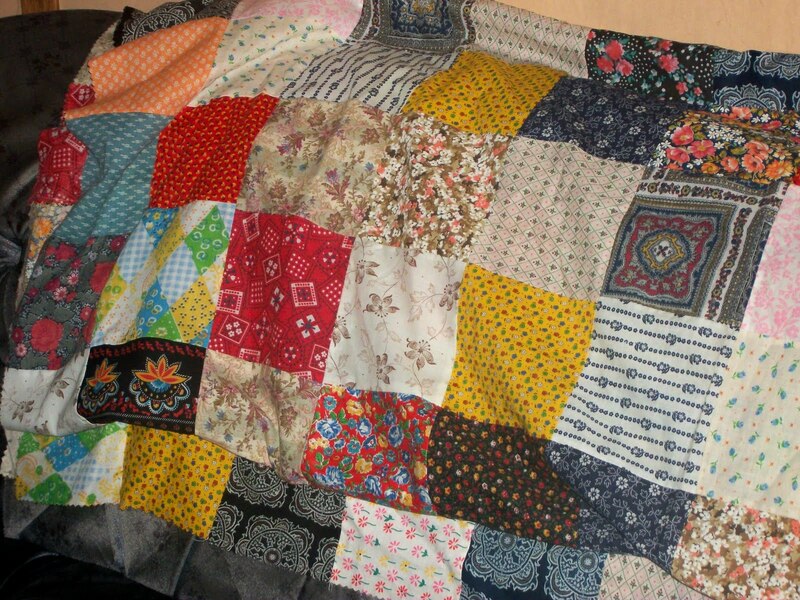 I think I will be quilting it with two strands of DMC in different colours . I really haven't decided on a quilting pattern yet, I think I will wait until I get it hooped up to decide. 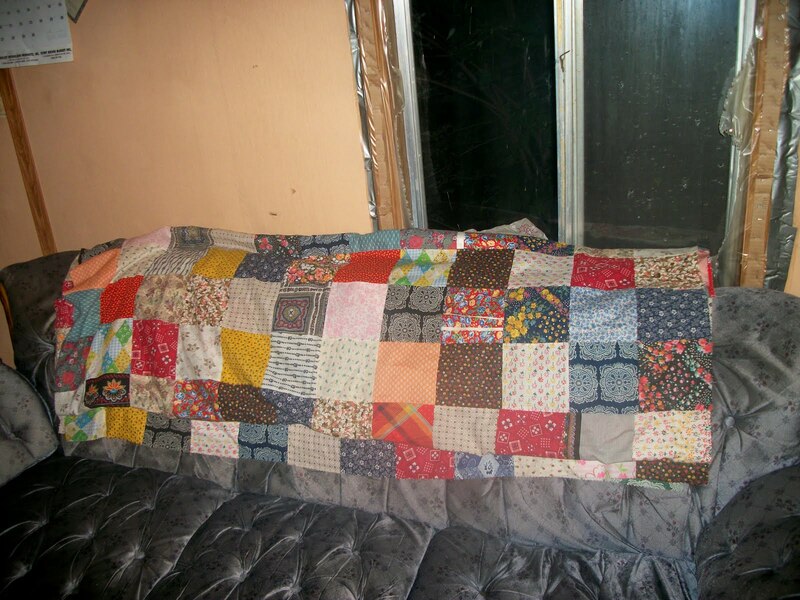 I will be backing it with a white flat sheet that I bought on a lawn sale last weekend.